TriLite LS800 Series - Professional and Reliable LED Surgical Light System The TriLite LS800 Series is a professional and reliable LED surgical light system with superior optical performance to match all clinical requirements for OR illumination. With its high efficiency with low heat and low power consumption the TriLite LS800 system reduces running costs in the OR compared to other light sources. The TriLite LS800 Series is a professional and reliable LED surgical light system with superior optical performance to match all clinical requirements for OR illumination. With its high efficiency with low heat and low power consumption the TriLite LS800 system reduces running costs in the OR compared to other light sources. 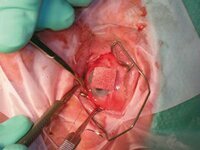 The most important requirement for a surgical light is optical performance. TriLite LS800 provides superior performance through the use of the latest generation of LEDs and an advanced optical design. The light patch remains excellent focus pattern and shadowless lighting to eliminate interfering shadows from surgical team’s heads and/or hands during surgical procedures. 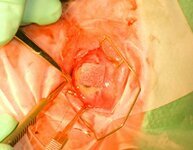 The low heat dissipation of the LEDs reduces the desiccation of exposed tissue to avoid discomfort to both surgeon and patient during long hours procedures. The TriLite LS800 emits light at a color temperature of 4,300K with a render index above 95. With great R9 to enhance surgeon comfort and concentration during long period procedure. This excellent quality of LED light makes a situation illustrated in Figure II revert to historical insignificance. The Full HD Imaging System addresses the needs of the surgical team for excellent imaging requirements. The built-in Full HD camera allows live broadcast of the surgical procedure and captures the full scene that illuminated. By incorporating state of the art thermal materials, the new LED elements provide energy saving with highly efficiency, and generate low heat dispersion. This improvement in technology and design not only make longer LED life, but also minimum the heads of the surgeons free from the concern of temperature rise. Thanks to the unique exterior design and SMS (Shadow Management System) function, fulfilling the strict requirements for modern technology in heat dispersion, efficiency and energy conservation. The LED technology used in TriLite LS800 not only gives superior optical performance but is also environmentally friendly. Each light head consumes less than 135W which is 30% lower than conventional Halogen light sources. Furthermore, a virtually unlimited life of 50,000 hours minimizes maintenance and allows better OR work flow. Latest LED TechnologyTriLite LS800 combines the latest LED technology and a unique lens to offer excellent optical quality. This combination of technology provides uniform light field, where perfect color temperature and illuminance are both achieved that give optimum lighting performance in the surgical area. Endo-LED for MIS environmentEndo-LED handle producing a soft environment illumination ideal for Minimally Invasive and Microscope Surgeries. Shadow Reduction ControlThe blades appearance, a design enhances the shadow management efficiency, accompanies with a Shadow Management System (SMS) ensure superior optical performance during central splitting and preventing temperature rise near surgeon’s head. Cool Light SourceThe die-cast aluminum material would hold the heat and spread it through the heat sink. This produces less temperature rise in the operating area. Excellent Lighting EffectPlot of optical field simulation for TriLite LS800. The design enables excellent lighting effect in large-area procedures such as graft and orthopedic surgeries. Easy Positioning HandleOur design takes every single detail to ensure TriLite LS800 provides the best operation experience. For instance, the planar lighting surface that is easy to sterilize, an ergonomic handle that makes the light simple to maneuver and a modularized blade design that allows the quicker maintenance. TriLite LS800 is user-friendly and practical in every detail. Curved Blade Design for Laminar FlowIn the operation room, laminar flow is a crucial factor in the maintenance of the sterile zone. The curved blade of TriLite LS800 is streamlined and aerodynamic to minimize turbulence and to ensure a laminar flow through the light head. DomeVision Image SystemDomeVision Image System truly meets the multimedia needs, also broadens the range of possibilities, in addition optimizes the workspace. This flexible concept adapts to the needs of the individual user. Miscellaneous equipment such as a built-in CCD, the camera carried by the separated suspension arm with double or single flat screen.